Very Rare, we just have one in stock! Al Mar's Eagle automatic knife features a long narrow blade making the knife perfect for utility applications. The Eagle features a 154-CM blade. 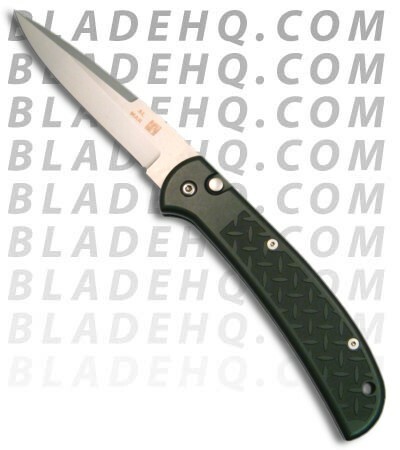 The 6061 T6 aircraft aluminum handle is anodized green and features a milled grip handle. The knife also features a safety that locks the knife closed or open. The eagle also has a stainless pocket clip for easy carry.